I wish I had this jacket when I went to NY! I am loving that bomber jacket and more so that it has NY Patched on it! Loving the edgy look! I love the army green jacket with the leopard booties! Such a cute Fall look! Such a cute jacket! I love those booties too! 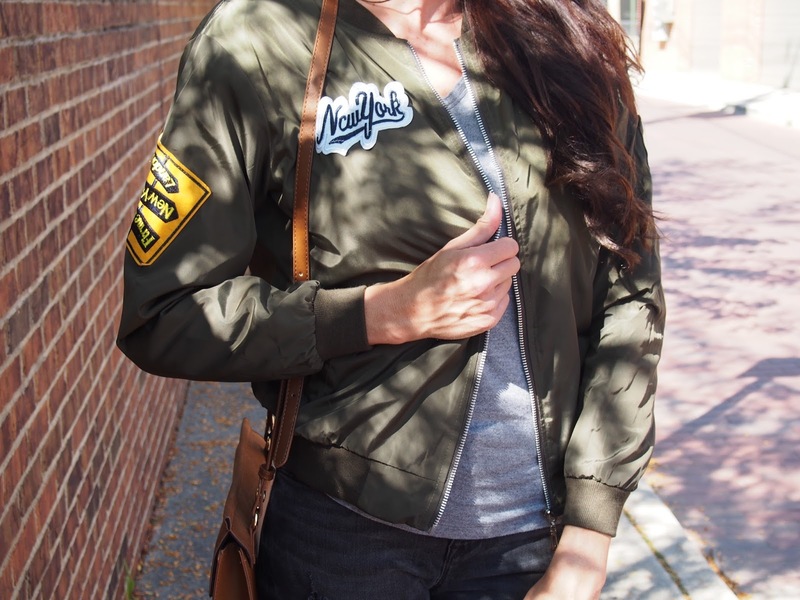 I have a bomber jacket obsession, and I love that this one is a little different! Adorable jacket but girrrrrrrrrl those booties! Gimme!!! Obsessed with this street style look. So perfect! This outfit is bomb!.. Get it?? Haha let this lame joke slide.. I'm sick and have lots of meds running through me! ;) You look great and I'm loving those shoes!! The bomber jacket looks adorable on you! I don't know if I could pull it off. :) Have a great weekend! This is the perfect combination!! I am obsessed with that bomber and those shoes are everything!!! Love this look! That jacket is awesome! I love bomber jackets!! I feel like they make any outfit instantly cool! Haha! This is such a good one with those patches! Love the Jackettt! Is beautiful! Such a great bomber jacket! I love it with your leopard booties. You're so sweet! Thanks Gail! I'm a huge fan of bomber jackets this season too and the patches on yours really make it cute and unique! You are rocking this bomber! I love the trend on certain people, but I don't feel like I can pull it off! You look gorgeous as always! Aw thanks Amanda! You're too sweet! 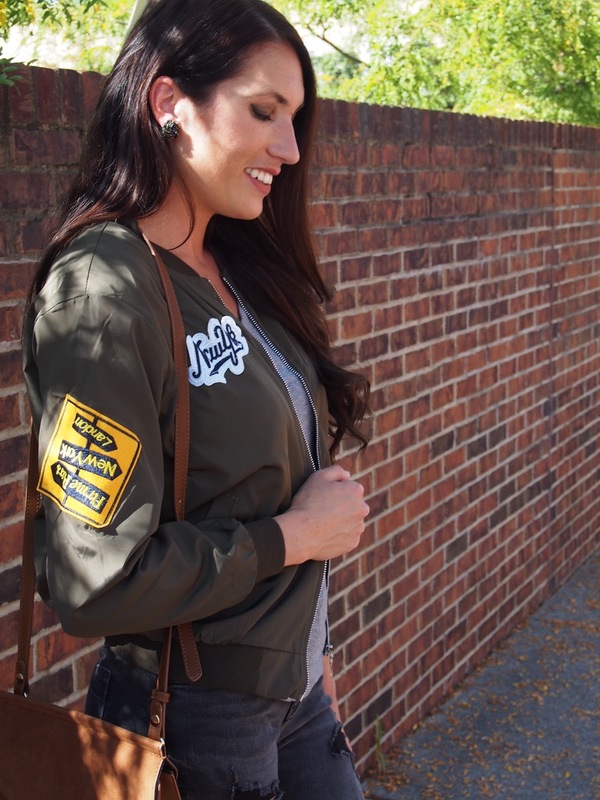 love bomber jackets for fall!! You look amazing in this color! I want your jacket!!! It's so cute!! Loving this jacket...just picked up something similar and I can't wait to wear it!